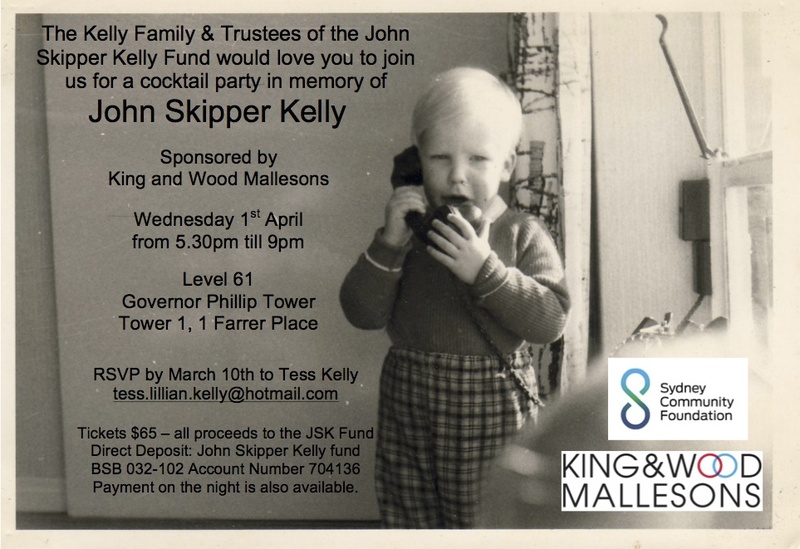 The JSK Cocktail party is a wonderful opportunity for us to connect with friends, family and colleagues to remember the spirit of John Skipper Kelly, and raise funds for a cause dear to his heart. We are incredibly grateful for the generous offer from King and Wood Mallesons to host us in their beautiful function room overlooking the beautiful city of Sydney, and we hope you can all join us for this special occasion. Entry is a $65 donation to the JSK Fund.